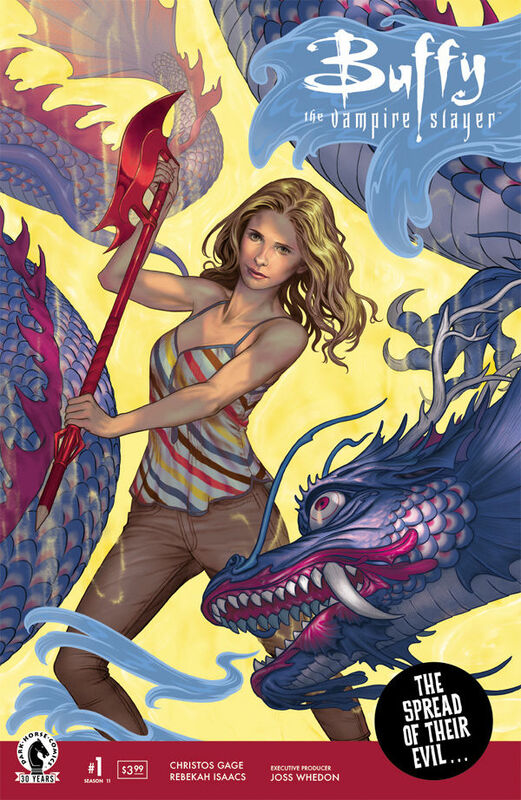 The new season of the Buffy comic is getting started. Everyone’s happy, everyone’s doing well. This can only be a precursor to some massively bad things to come. But for now, at least, we can feel like things are going right for the Scooby Gang. 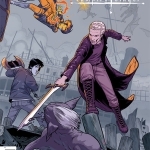 As we begin the issue, Spike and Buffy are fighting a sewer monster and trading witty banter. Their relationship is actually solid, by all appearances, so that makes me very happy to see. In the course of their current case, Buffy risks her life, of course, but manages to kill the monster by stabbing it in its brain. Well, their relationship can be safe, but that doesn’t mean they won’t be putting themselves in danger constantly. It’s who they are. Dowling shows up with backup after everything’s done. 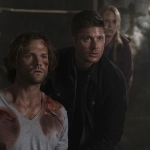 It seems that Buffy and Spike are now supernatural consultants, which basically means they get to carry on the fight and help the police in the process. Seems like a win-win. And they’ve been impressing the force as well. Dowling says that they would hire them on full-time if they so desired, but Buffy is happy with the consulting arrangement they have. When it turns into work, she’s no longer having fun. Willow’s having a Wiccan coven meeting at the apartment when Buffy and Spike arrive home, sneaking upstairs so as not to disturb them. It’s nice to see that Willow’s grounded, a leader of others to pass on the teachings she’s gathered over the years. Plus, she’s not the only one who seems to have grown. On the roof, Xander and Dawn and Giles are having a cookout when Buffy and Spike join them and everyone seems so happy. Dawn’s got her grades, all good, and Giles is going to be able to identify what the sewer monster was. Plus, Xander and Dawn are strong together, relationship-wise. It almost feels too good to be true. Of course, Buffy is having temporary doubts about her place in the world, feeling unsettled. She admits to Dawn that it feels like she’s been stuck doing the same thing since she was 15 while others have grown and achieved more. But Dawn corrects her, makes Buffy realize that she’s done so much and should be proud of her achievements. Don’t question happiness, just enjoy it while it lasts, because it doesn’t tend to go on for long where the Scooby Gang is concerned. Suddenly, as if an indicator of that fact, it starts storming. This is not an ordinary storm, as Willow points out. She casts a spell and the storm is revealed to be a dragon. Back to work, everyone! Willow, Giles, and Buffy try to fight the dragon before it can land in the city, but they don’t do too well. The city streets get flooded, with lots of victims and damage. Spike thinks this a small incident before something bigger comes along, and he may be right. What trouble is brewing for them? We’ll soon find out.